Omega 3 and 6 fatty acids from canola oil and full fat soybean plus organic copper for coat shine and colour. Biotin, organic zinc and methionine for hoof growth, strength and quality. Quality protein from extruded full fat soybean for muscling and topline. Quality protein and essential amino acids to support hoof growth in laminitis prone horses and ponies on restricted diets. 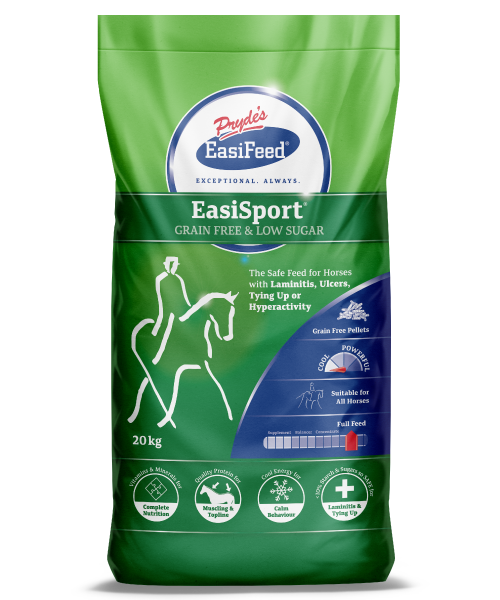 Can be fed as part of any balanced ration where additional nutrients are required for hoof, coat and skin health. Polished must be fed as part of a balanced ration. Adjust the amount fed so it is appropriate for a horse’s bodyweight. Divide Polished into two or more smaller meals if feeding more than 50 grams per day.